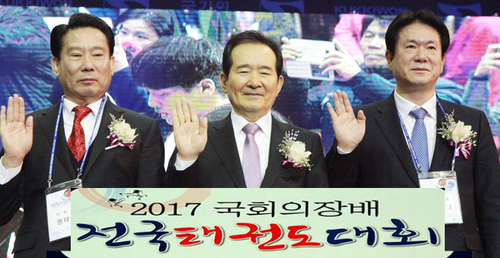 '2018 Taekwondo Day' the day when many Taekwondo people mingled feelings of joy and sorrow. 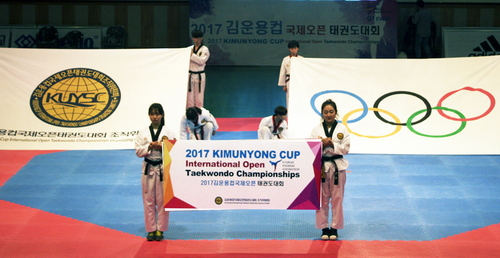 MBC 'PD Notebook’, why do they have to broadcast ‘The fallen Taekwondo holy place, Kukkiwon is shaking ' on ‘Taekwondo Day’? 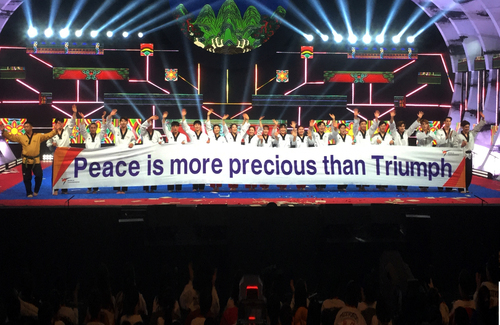 ‘2018 Taekwondo Day’ was the day when many Taekwondo people had mingled feelings of joy and sorrow. On the day of Taekwondo people’s celebration day, MBC, who has been evaluated acting as a trumpet of power, has broadcasted ‘PD Notebook’, ‘The fallen Taekwondo holy place, Kukkiwon is shaking’. Why today? 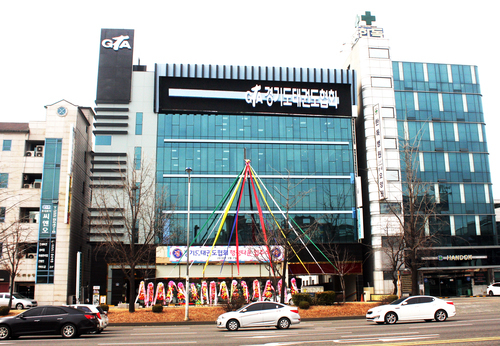 Why do they had to broadcast ‘The fallen Taekwondo holy place, Kukkiwon is shaking’ on today? 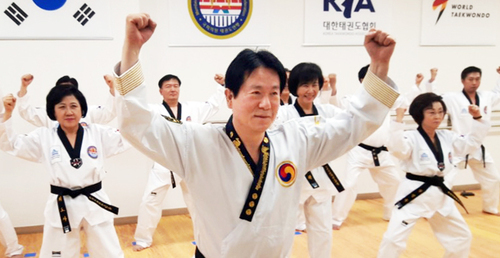 Is it a political jealousy of opposition assemblyman Lee, who did a great achievement of developing Taekwondo and accomplished meeting the ruling party’s tastes? Reveal what’s the purpose is! Taekwondo people are out crying like this. 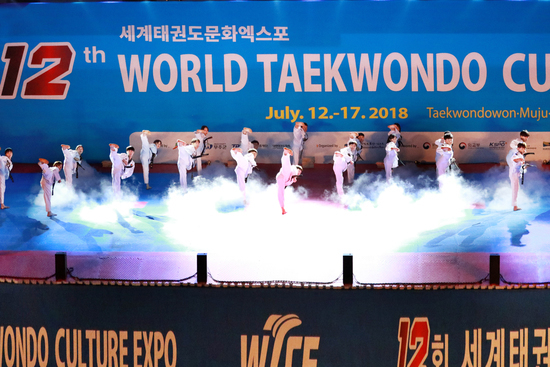 On the other hand, on July 17th, they broadcasted about ‘Special Activity Fee of National Assembly', which had the story of the "Taekwondo Poomsae, Challenge to World Guinness Record" event to show that Taekwondo is superior to Japanese Karate on the lawn plaza of the National Assembly. The MBC PD Notebook was suspected of using public opinion to make assemblyman Lee negative images, questioning about the fact that manipulating the event cost of 700 million Korea WON(About six hundred thousand US dollars), which was not particularly related to the title. 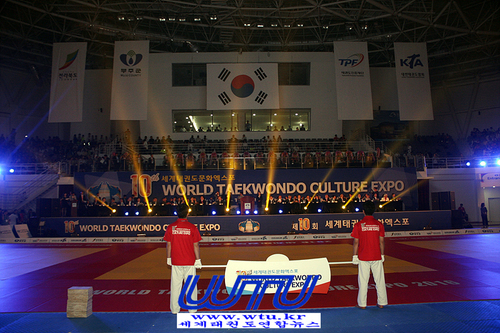 The ceremony, '2018 Taekwondo Day Celebration' was held at the World Taekwondo Sacred Place, Taekwondo Hall on Tuesday, September 4th. 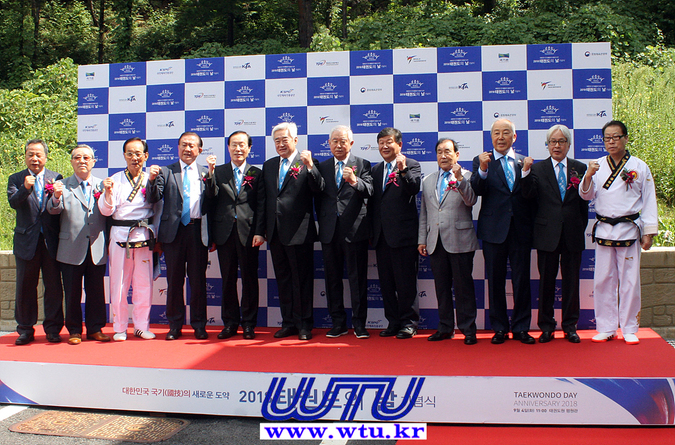 he ceremony was hosted by the Ministry of Culture, Sports and Tourism and was held jointly by the Kukkiwon, the World Taekwondo Federation, the Taekwondo Association of Korea, and the Taekwondo Promotion Foundation on September 4 at 11:00 am at Taekwondo-won Pyungwonkwan. 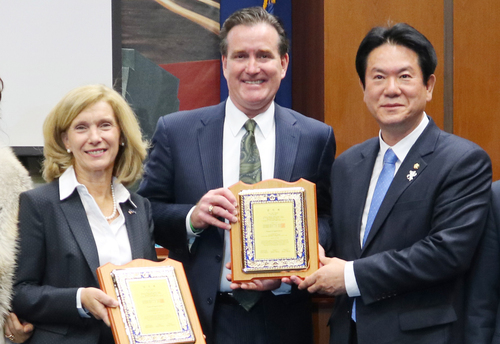 The ceremony was started with demonstraion performances by Mi-dong elementary school and Kukkiwon 9th Dan highest High Dan Commission, followed by public rituals and memorial recitals, as well as a performance commemorating the national flag Taekwondo designation. 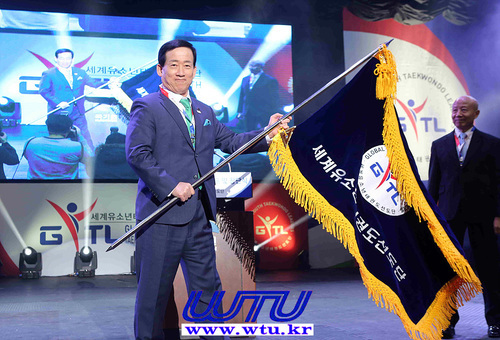 Particularly, at this year's ceremony, they commemorate the passing of the 'Laws ralated to Taekwondo promotion and making Taekwondo park (Taekwondo Law) Partial Amendment' which contains the contents of the Republic of Korea is Taekwondo 'and there was a memorial performance using socks belt which symbolizes Taekwondo. 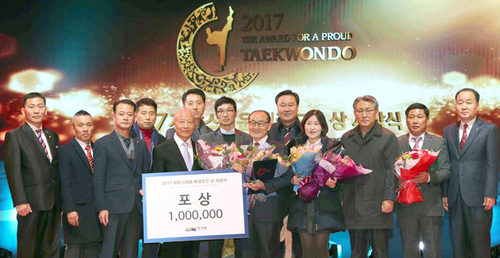 On the other hand, the citation of commemoration ceremony of the 2018 Taekwondo Day was awarded by the Minister of Culture, Sports and Tourism, and Lee sun-jang Professor of the Kyemyung University and Kim Sang-jin, President of Busan City Taekwondo Federation and total of 12 people received the citation . 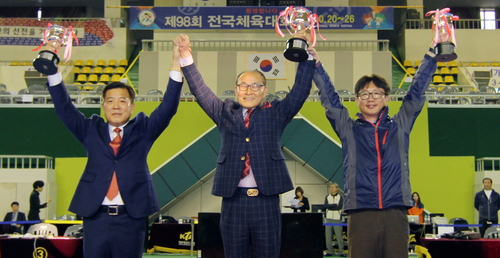 And there also was citation of Korea Taekwondo Federation, Kukkiwon, Taekwondo Promotion Foundation. MBC ‘PD수첩, ’추락한 태권도 성지, 국기원이 흔들리고 있다‘. 왜 하필 ‘태권도의 날’을 맞아 방영? 2018년 많은 태권도인 들의 희비가 엇갈리는 ‘태권도의 날‘ 하루다 기분 좋은 태권도인 들의 잔칫날 그동안 권력의 나팔수 역할을 톡톡히 했다는 평을 받는 MBC는 남의 잔치상에 재 뿌리는 PD수첩 ’추락한 태권도 성지, 국기원이 흔들리고 있다‘를 오늘 방영했다. 왜 하필 오늘? ’추락한 태권도 성지, 국기원이 흔들리고 있다‘를 오늘 날짜로 방영했나. 그것은 야당의 태권도인 이모 의원이 태권도발전에 지대한 공로와 업적에 집권당 입맛을 맞추는 정치적 시기인가 질투인가? 의도가 무엇인가 밝혀라! 하는 태권도인 들의 아우성이다. 한편,MBC PD수첩은 지난 7월17일에도 ‘국회특수활동비‘ 관련 방영에서도 이모 의원이 국회 잔디 광장에서 태권도가 일본 가라테보다 우월하다는 위치를 보이기 위해 “태권도 품새, 월드기네스 기록에 도전”행사를 주관한 것과 관련 타이틀과 특별히 관련이 없는 사안인 행사 업체와 7억대 행사 진행 비용문제를 교묘히 연관시키며 이모 의원을 부정적 이미지로 여론 몰이를 했다는 의구심도 받은 봐 있다. 이날 오전 11시 ‘2018 태권도의 날 기념식’이 9월 4일(화) ‘세계 태권도성지, 태권도원’에서 개최되었다. 기념식은 문화체육관광부가 주최하고 국기원·세계태권도연맹·대한민국태권도협회·태권도진흥재단 공동주관으로 9월 4일(화) 11시, 태권도원 평원관에서 미동초등학교와 국기원 9단 최고 고단자회의 시범공연을 시작으로 국민의례와 기념사 낭독 등에 이어 국기태권도 지정 기념 퍼포먼스, 유공자 표창 등의 순으로 진행되었다. 이날 태권도의 날 기념식에는 노태강 문화체육관광부 2차관과 태권도 9단 이동섭국회의원을 비롯해 조정원 세계태권도연맹 총재, 최창신 대한민국태권도협회장, 이상욱 태권도진흥재단 이사장, 장용갑 대한장애인태권도협회장 등 주요 태권도 기관·단체장 및 태권도계 인사 400여명과 전라북도 김송일 행정부지사, 유송열 무주군의회의장·윤여일 무주군부군수 등 지자체 및 단체의 주요인사가 참석했다. 한편, 2018 태권도의 날 기념식 문화체육관광부장관 표창은 태권도 세계화와 발전 등에 기여한 공로로 이선장 계명대학교 교수와 김상진 부산광역시태권도협회장 등 총 12명이 수상했고, 대한민국태권도협회·국기원·태권도진흥재단의 기관·단체장 표창도 진행되었다.